Red Rose, White Rose by Eileen Chang is set in Shanghai during the 1940s. The novella revolves around Tong Zhenbao and his attitude towards women as well as life in general. Stemming from a poor family he is the prototype of a social climber and self-made man who subordinates everything and everyone to his plans. He is the product of an education that still treasured traditional Chinese – i.e. 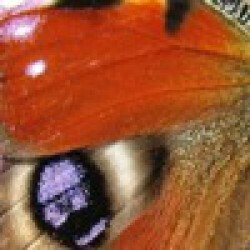 strictly patriarchal – values while society was already heading into modern times. He has been faithful to his resolution to “create a world that was ‘right’, and to carry it with him wherever he went” and has no reason to complain. And yet, he isn’t happy in his ideal world. Love is a particularly difficult matter for Zhenbao because his view of life requires that he is the absolute master of his “little pocket-size world” including the women around him. Strong women who do as they wish, especially if they trespass the bounds that society sets them, shake him and attract him at the same time. 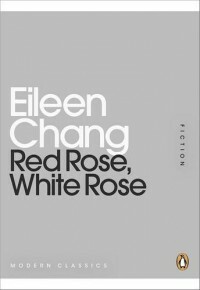 It’s a rather unsentimental picture of love and marriage that Eileen Chang paints in her novella Red Rose, White Rose. The simple and despite all powerful language of the author leaves hardly any doubt about relationship being in her eyes nothing but a constant fight for control over the other.